Three of the most basic, yet most important fundamentals when it comes to training are sit, stay and heel. With these basic commands attained, you have the foundation needed to go into more extensive training, or simply the knowledge that you have at hand the means to master the basics. 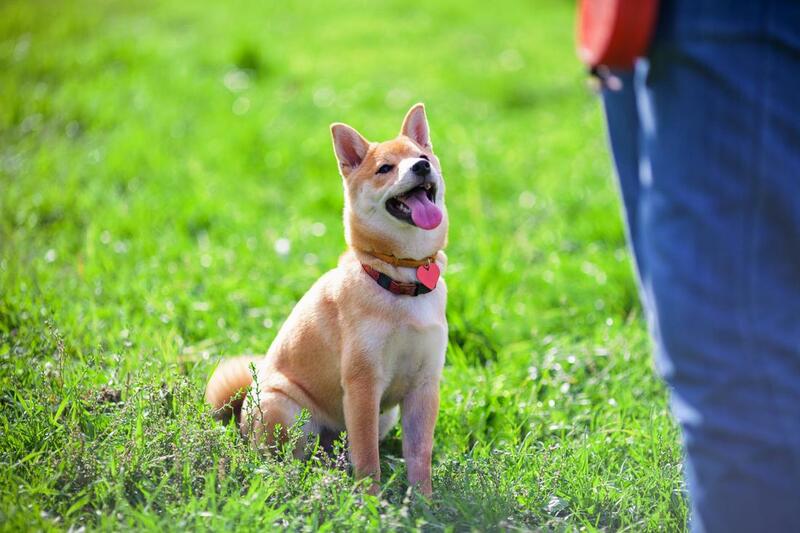 Whether on leash or off, you can be sure that you have the capability to control the movement of your dog, and to keep them safe in even more perilous situations with a simple command. It’s our goal to ensure that you feel comfortable with these basic obedience fundamentals, and have your pup respond in kind each and every time. With our dog training boot camp, you have the means to fully immerse your dog into its training, and through caring and attentive services, lay the foundation for lifelong responsiveness to command. We give your pet the special attention needed to ensure that they can get the basics down easily, and thoroughly. Each of the dog obedience training programs that we run are overseen by experienced and caring trainers, who put your dog’s success at the forefront of our attention. If you’re looking for effectiveness and attentiveness, then making the call to SLO County Dog Training is the first step. One of the first things that we work with on all of our canine students, is to be comfortable with their leash. The leash is your means of corralling your pet in any circumstance, and your dog treating it with comfort is vital to this end. If your dog has been having issues with tugging on the lead, chewing on the leash while walking, or attempting to remove it, we bring you the assistance you need to raise their level of comfort, and to have them enjoying time on the leash as much as you come to rely on it. Puppies like any other child, are driven by curiosity and exploration, and when it comes to learning their new home, they tend to investigate everything with tooth and claw. Getting the right training for your puppy not only allows you the knowledge that you can leave them on their own without repercussion, but ensure that they stay away from areas you designate off limits. This not only protects your belongings, but also protects your puppy. From crate training to standard behavior modification, you can count on SLO County Dog Training to give your puppy the training foundation needed for a life of success.